"The Paranormal Event Of The Year!" Organized By: Greg Myers, for just a few very special guests. Please R.S.V.P. Your special place Today! 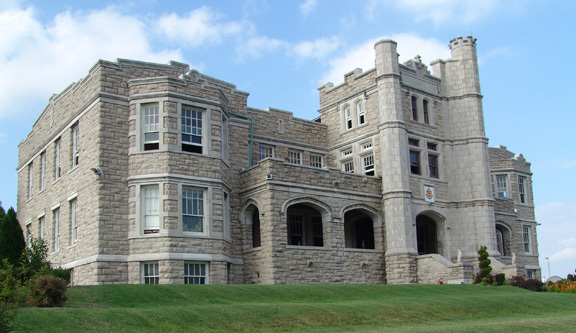 Be a Ghost Hunter for a night at the very haunted The Pythian Castle. Missouri's Number 1 most haunted location, and it's a real castle too! Deemed by many and considered one of the most haunted locations in the Mid-West that you can investigate. This rare paranormal special event is your chance to work side by side with the world renowned Leading Paranormal Task force Team Investigator Greg Myers. In attending you will and can personally search for the encounters with the dead, talk and record real EVP from the resident ghosts and document unknown or previously un documented paranormal activity for the first time. During the first ever public overnight investigation you can hunt alongside of some of the staring investigators featured in the feature length paranormal documentary of 2008 "Children of the Grave" which has aired on SyFy (previously Sci Fi) Channel many times since 2008. BUY YOUR COPY TODAY TO LEARN MORE! Children Of The Grave, Winner of best paranormal documentary 2008 goes in depth to uncover the truth behind child ghosts. Unmarked graves with untold stories leads us across six US States on a ten-day investigation hunting for child spirits. Abandoned Orphanages to the Devils Woods unleashes a nest of dark entities while on the mother of all ghost hunts. Emotional, powerful and frightening! Knowing now that they truly exist, the truth has never been scarier! An epic-reality adventure into the unknown! Are you scared yet, you should be! visit before you pass on" list. When you indulge yourself within this building once, you will find yourself with an addiction to return multiple times to experience more of what it has to offer. A pre-investigative meeting and tour will start at 7:00 p.m. to present the historical & haunted history of the Pythian Castle. Then the all night investigation will begin between 8 and 9 p.m. and conclude at 4 a.m. A midnight snack will be provided. Attendees will be divided into three groups and rotated to investigate a different floors of the Castle at different times throughout the night. Everyone will have the opportunity to investigate with LEADING investigators of Paranormal Task Force Team and to receive paranormal field training 101 from some of the most well respected paranormal investigators in America. With this Great Paranormal Event being the first public overnight investigation of it's kind of the Castle and you know this event will sell out very fast! - Note - An "at your own risk" liability waiver will be required to be signed by attendees. Paranormal Task Force and the Pythian Castle reserves the right to refuse admittance to anyone and to remove those who are disruptive to others. There is also no guarantee that anyone will witness or experience paranormal activity at this event. ill witness or experience paranormal activity at this event. With over 90 years of history, our ghosts transcend many decades from the time of the orphanage to the years the military occupied the building. It is not uncommon here to hear male or females voices, to bump into a mass, hear noises such as doors shutting or boxes being moved with no one around or to see an image. Orbs have been detected in several areas of the building along with temperature changes and voices have been caught on tape. Some even claim to have gotten ghostly images in their photos. We are attempting to collect data on the occurrences as they happen as well as collect information of events before our time here. Any additions, please let us know. In the meantime, you may find some of the evidence collected from several paranormal professionals that have been through here. Their web page links are listed below. If you are interested in learning how to hunt for ghosts we offer a workshop every other month. Springfield, Missouri By Greg Myers ...Please visit here now! Greg has had personal paranormal encounters since being a teen and has years of paranormal investigative experience. He is well versed with haunting classifications, paranormal investigative techniques and leadership through example. Greg has served as a technician and supervisor while serving in the military and has further enhanced his education and abilities with legal issues while serving over ten years in the legal field. With his background of legal issues, lobbying experience and issue advocation, he hopes to apply these skills to the enactment and strengthening of "haunted house" and "psychological impact" disclosure laws for prospective property owners, tenets and lessees. Greg also has an extensive background in genealogical research and familiarization with record research vital to the research of potential haunted properties. Greg is one that shares the philosophy that paranormal investigations can come with many unknown dangers which are not properly addressed by most of the paranormal research field. This and other important issues are overlooked and need further advocation to current and future researchers and investigators within this field. Greg adheres to a Humanistic Approach to investigations which always places the client first above everything else. Greg became part of MISSOURI PARANORMAL RESEARCH™ in August of 2005 serving as a co- administrator, lead investigator and EVP specialist. While serving with MPR, Greg became an instrumental element in the collection and analysis of evidence in a case involving an extreme "inhuman" haunting and possession. This Haunting was featured on the Discovery Channel's "A Haunting" series as the Season 3 opener. In October of 2006, Greg co-founded PARANORMAL TASK FORCE™, a not for profit organization which promotes the awareness of paranormal research and historical preservation through a variety of methods. MISSOURI PARANORMAL RESEARCH™ now serves as its non-extreme investigative and research division while other divisions will be launched making Paranormal Task Force™, Inc. a "One Stop" resource for all paranormal needs of clients, the public and other organizations. Greg has been a featured guest on various radio stations and in other media formats abroad, speaker at paranormal events and completed filming in 2007 with Keith Age and The Booth Brothers for "Children of the Grave" which was released October 2, 2007 on DVD and aired on the SciFi (now SyFy) Network in 2008. Greg has also recently finished filming and served as an associate producer for another Booth Brothers (Spooked Television Releasing) production titled "The Haunted Boy" which will be released on DVD in 2010 and air on the SyFy Network soon after. Greg is also featured in "Legacy of Shadows ... The Legend of Zombie Road" which will be released on DVD New Years Day 2010. Greg has also authored articles and short stories concerning his experiences within the paranormal realms and theories related to such which are published on the World Wide Web. Some of these articles and stories have been selected for inclusion in “Weird Missouri” which was published in 2009 and “Weird Encounters” which will be published in 2010. Greg is also a Missouri Statewide Representative for the American Ghost Society (AGS) and was also voted as one of the top 10 Investigators in America for 2008-10 BY the millions of visitors each month to Haunted America Tours (www. hauntedamericatours.com). Find out "Greg Myers' Favorite Top 10 most Haunted Places To Hunt For Real Ghosts"
Do you need help with a haunting? We have the resources here to help you with your needs. All other requests use this link below. 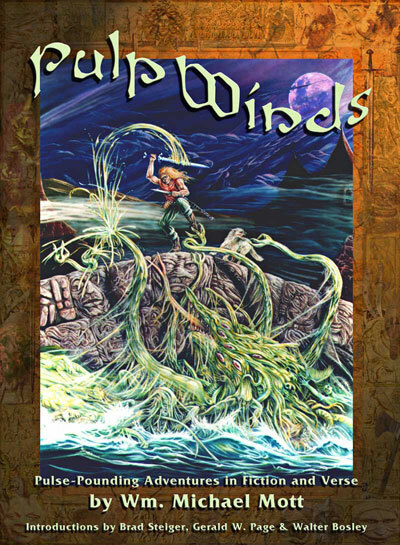 PULP WINDS, the long-awaited collection of short fiction, verse, and Forteana by TGS author Wm. Michael Mott, has been unleashed for mass consumption! 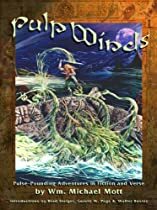 With introductions by Walter Bosley, Brad Steiger, and Gerald W. Page, these tales will take you from the antediluvian world to lost cities beneath the earth, onward to other planets around distant stars, and even to the Dark Ages, the Old West and the High Seas. New twists on mythos and madness are intermeshed and presented in these yarns of terror and adventure!